Florence + the Machine's MTV Unplugged enters the current Billboard 200 at #51. It's the highest-charting Unplugged album in a little more than five years, since Korn's MTV Unplugged hit #9 in March 2007. Three Unplugged albums have reached #1: Eric Clapton's Unplugged, Nirvana's MTV Unplugged In New York and Alicia Keys' Unplugged. Two have walked off with Grammys for Album of the Year: Clapton's Unplugged and Tony Bennett's MTV Unplugged. The Clapton and Nirvana albums are also the best-sellers, according to Nielsen SoundScan. 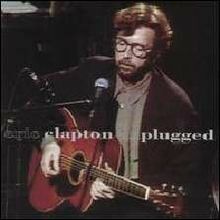 Clapton's Unplugged has sold 7,617,000 copies. 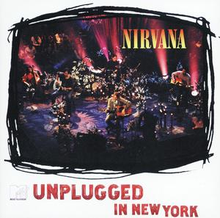 Nirvana's MTV Unplugged In New York has sold 4,817,000 copies. Paul McCartney's Unplugged (The Official Bootleg), in June 1991, was the first Unplugged album to make the chart. Three of the chart entries are EPs: Mariah Carey's MTV Unplugged EP, Maxwell's MTV Unplugged and Katy Perry's MTV Unplugged. At the other extreme is Lauryn Hill's MTV Unplugged No. 2.0, the only double-disk Unplugged album to make the chart. Here are the 32 Unplugged albums or EPs that have reached The Billboard 200. They're ranked by the highest position they attained. I also show the number of weeks they remained on the chart and the month and year they entered the chart. 1. Eric Clapton, Unplugged, #1, 137 weeks. Clapton's album spent three weeks at #1. It was recorded on March 12, 1992, less than a year after the death of Clapton's four-year-old son, Conor. That tragedy led Clapton to co-write the haunting "Tears In Heaven." The studio version of that song became a #2 smash. Unplugged included live versions of that song and "Layla," Clapton's 1971 classic with Derek and the Dominos. Charted: September 1992. 2. Nirvana, MTV Unplugged In New York, #1, 81 weeks. This album, which was recorded on Nov. 18, 1993, won a Grammy for Best Alternative Music Performance. It was the band's first release following Kurt Cobain's suicide in April 1994. "About A Girl" and "The Man Who Sold The World" cracked the Hot 100 Airplay chart. Charted: November 1994. 3. Alicia Keys, Unplugged, #1, 22 weeks. This is the highest-charting Unplugged album by an R&B artist. "Unbreakable" reached #34 on the Hot 100. Charted: October 2005. 4. Rod Stewart, Unplugged…And Seated, #2, 63 weeks. This album logged five weeks at #2 (it couldn't "unseat" Janet Jackson's janet..) The album spawned three chart hits (more than any other Unplugged album): "Have I Told You Lately," "Reason To Believe" and a remake of Sam Cooke's "Having A Party." Stewart had previously charted with studio versions of the first two songs. Ronnie Wood was featured on the Unplugged versions of the latter two songs. Charted: June 1993. 5. Mariah Carey, MTV Unplugged EP, #3, 57 weeks. This is the highest-charting Unplugged album by a (non-rock) pop artist. It's also the highest-charting Unplugged EP. And it's the only Unplugged album or EP to spawn a #1 single on the Hot 100. Carey's remake of the Jackson 5 classic "I'll Be There," with Trey Lorenz, became her sixth #1. Charted: June 1992. 6. Alice In Chains, MTV Unplugged, #3, 33 weeks. This is the highest-charting Unplugged album by a hard rock band. Charted: August 1996. 7. Lauryn Hill, MTV Unplugged No. 2.0, #3, 14 weeks. This is the highest-charting Unplugged album by a hip-hop artist. It's also the only two-disk Unplugged album to make the chart. Hill had released just one prior solo album, The Miseducation Of Lauryn Hill. Charted: May 2002. 8. Korn, MTV Unplugged, #9, 7 weeks. "Freak On A Leash (Unplugged)" (featuring Amy Lee), a remake of Korn's 1997 song, cracked the Hot 100. Charted: March 2007. 9. 10,000 Maniacs, MTV Unplugged, #13, 45 weeks. The band's version of Bruce Springsteen's "Because The Night" reached #11 on the Hot 100, higher than Patti Smith's classic version of the song had climbed in 1978. Charted: November 1993. 10. 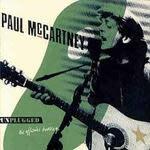 Paul McCartney, Unplugged (The Official Bootleg), #14, eight weeks. This was the first Unplugged album to make the chart. Charted: June 1991. 11. Kiss, MTV Unplugged, #15, 10 weeks. This was the group's fourth live album to make the chart, following three albums in the Alive! series. Charted: March 1996. 12. Neil Young, Unplugged, #23, 18 weeks. Charted: July 1993. 13. Bob Dylan, MTV Unplugged, #23, 10 weeks. Charted: May 1995. 14. Jay-Z, Unplugged, #31, 17 weeks. This is the only Unplugged album by a male hip-hop artist to make the chart. Charted: January 2002. 15. Ricky Martin, Ricky Martin: MTV Unplugged, #38, eight weeks. This is the highest-charting Unplugged album by a Latin artist. "Tu Recuerdo" (featuring La Mari) cracked the Hot 100. Charted: November 2006. 16. 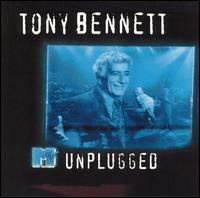 Tony Bennett, MTV Unplugged, #48, 27 weeks. 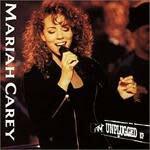 This is the only Unplugged album by a traditional pop artist to make the chart. In addition to winning a Grammy as Album of the Year, it won for Best Traditional Pop Vocal Performance. Charted: July 1994. 17. 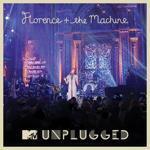 Florence + the Machine, MTV Unplugged, #51. Charted: April 2012. 18. The Corrs, VH-1 Presents The Corrs: Live In Dublin, #52, 24 weeks. Charted: March 2002. 19. Maxwell, MTV Unplugged, #53, 15 weeks. This is the highest-charting Unplugged album by a male R&B artist. Maxwell had released just one prior album, Maxwell's Urban Hang Suite. Charted: August 1997. 20. 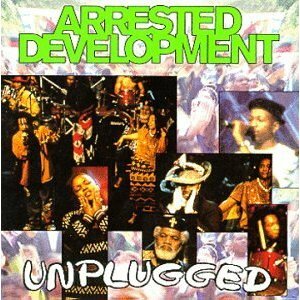 Arrested Development, Unplugged, #60, 12 weeks. 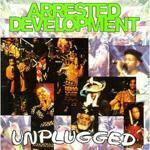 This is the only Unplugged album by a hip-hop group to make the chart. The group had released just one prior album: 3 Years, 5 Months & 2 Days In The Life Of… Charted: April 1993. 21. Alanis Morissette, MTV Unplugged, #63, 14 weeks. Charted: December 1999. 22. Various Artists, Uptown MTV Unplugged, #71, 16 weeks. Jodeci's "Lately" was the biggest hit from this collection, which also featured tracks by Mary J. Blige and Heavy D & the Boyz, among others. Charted: June 1993. 23. 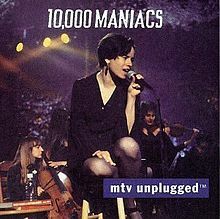 Mana, MTV Unplugged, #83, 15 weeks. This is the highest-charting Unplugged album by a Latin group. The group, which is from Mexico, had charted with just one prior album: Suenos Liquidos. Charted: July 1999. 24. Bryan Adams, MTV Unplugged, #88, 14 weeks. This is Adams' only live album to make the chart. "Back To You" cracked the Hot 100 Airplay chart. Charted: December 1997. 25. All Time Low, MTV Unplugged, #92, one week. Charted: January 2010. 26. Various Artists, The Unplugged Collection Volume One, #97, 10 weeks. This collection featured tracks by 16 artists, including Don Henley, Elton John, Paul Simon, R.E.M. and John Mellencamp. Charted: December 1994. 27. Babyface, MTV Unplugged NYC 1997, #106, 13 weeks. Charted: December 1997. 28. Jeremy Camp, Live—Unplugged: Franklin, TN., #111, seven weeks. This is the only Unplugged album by a Contemporary Christian artist to make the chart. Charted: November 2005. 29. Dashboard Confessional, MTV Unplugged V 2.0, #111, six weeks. The rock band had released just one prior album, The Places You Have Come To Fear The Most. Charted: January 2003. 30. Shakira, MTV Unplugged, #124, eight weeks. This is the highest-charting Unplugged album by a female Latin artist. It won a Grammy as Best Latin Pop Album. Shakira, who is from Colombia, had charted with just one prior album, Donde Estan Los Ladrones? Charted: March 2000. 31. Los Tigres Del Norte, MTV Unplugged, #134, two weeks. Charted: June 2011. 32. Katy Perry, MTV Unplugged, #168, one week. Perry had charted with just one prior album, One Of The Boys. Charted: December 2009. 33. Julieta Venegas, MTV Unplugged, #169, one week. Venegas, who is from Mexico, had charted with just one prior album, Limon Y Sal. Charted: July 2008. 34. 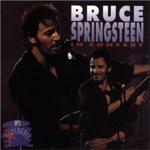 Bruce Springsteen, In Concert/MTV Plugged, #189, one week. This was recorded on Nov. 11, 1992, nearly five years before it was finally released. This was Springsteen's second live album to chart, following a 1986 box set. 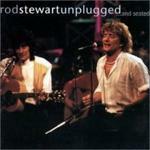 This is the only Unplugged album that was titled Plugged. Charted: September 1997.